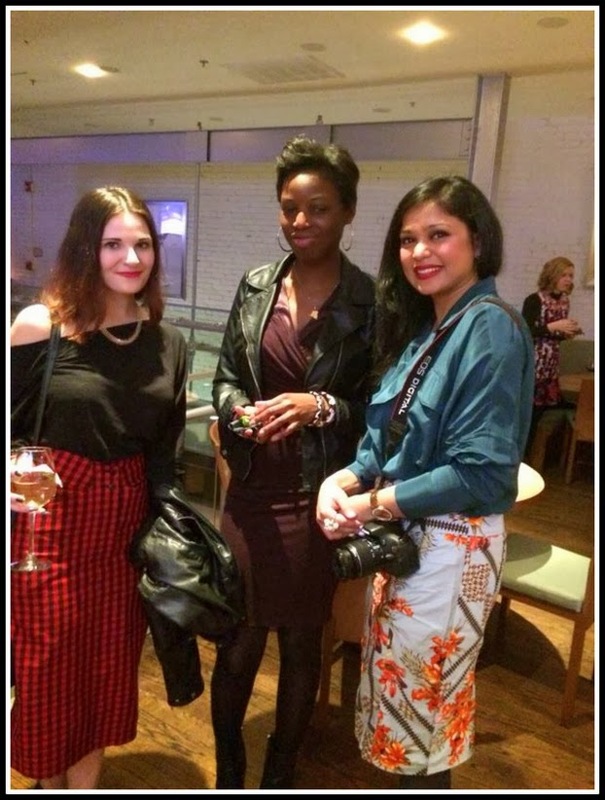 As a fashion blogger, I enjoy the privilege of meeting other dynamic bloggers at the local events hosted by CAPFABB abbreviation for Capital Area Fashion and Beauty Bloggers. This year CAPFABB turned 3 and we aka bloggers gathered at Dirty Martini restaurant and lounge to jubiliate this milestone. 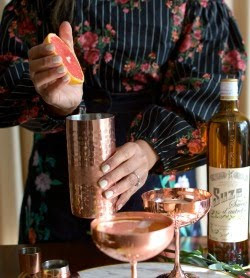 It was a blogger-studded evening with everyone putting their best style forward and leaving no stone unturned to mingle by the bar where the drinks and bites were on the house. 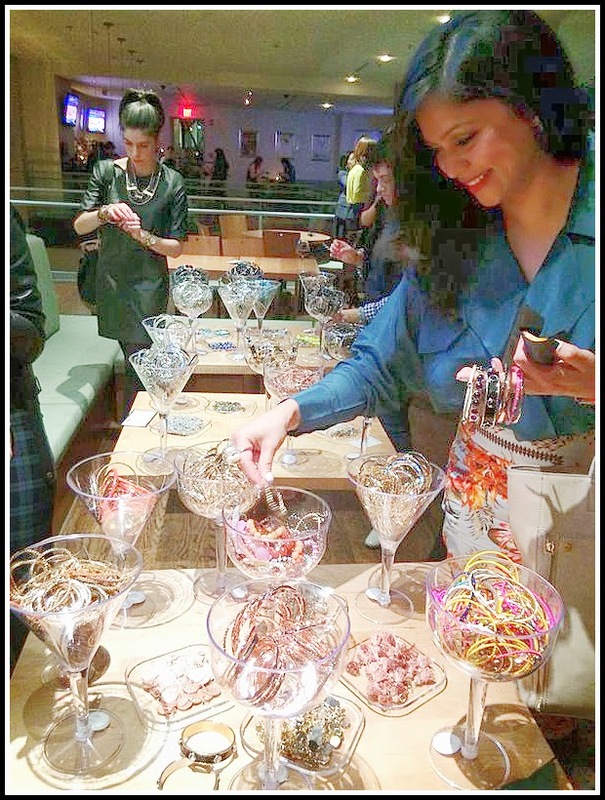 The showstopper for the evening was the DIY bracelet bar courtesy of Capwell & co. Everyone including me hovered around this swag bar to pick out some goodies. I enjoyed my tot-free time reconnecting with a few oldies like Kesha and connecting with some new ones Sahra and Corrine . BTW Sahra looked dapper in her tasteful red skirt . 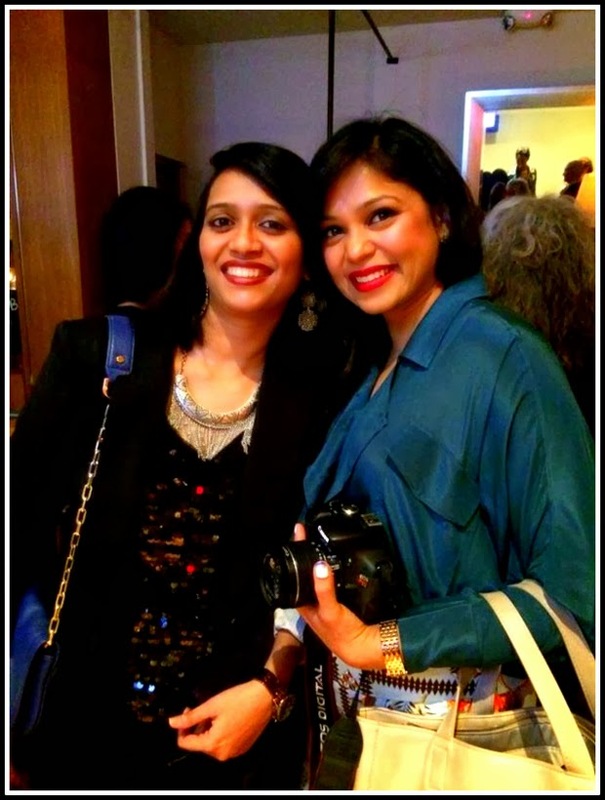 One new blogger I was eagerly waiting to meet was Ashwini from The Zing of My Life. We had been trying to get-together for a while but this was our chance. We connected instantly not only coz she hails from the same country but also coz we exhibited similar penchant for fashion and brands. 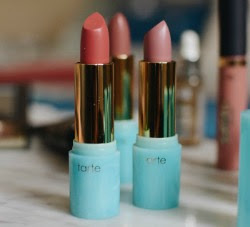 It was totally worth venturing out in the snow-laden streets. Changing gears and talking about my outfit- I chose to wear a very springy, tropical print skirt with an edgy silk blouson. Since there was some outdoor walking involved, I had no choice but to wear some warm tights. I have had the sandals for a while, they are cute but high. They were the only pair I found befitting the rest of the look. I had to wear bold red lips to complement the grayness of the outfit..What say ??? Well, I am enjoying my arm-candy from the event. For your eye-candy keep scrolling through to see the pics from the evening and of my outfit too. Beware, this is a picture heavy post !! Hope you enjoyed the eye-candy !